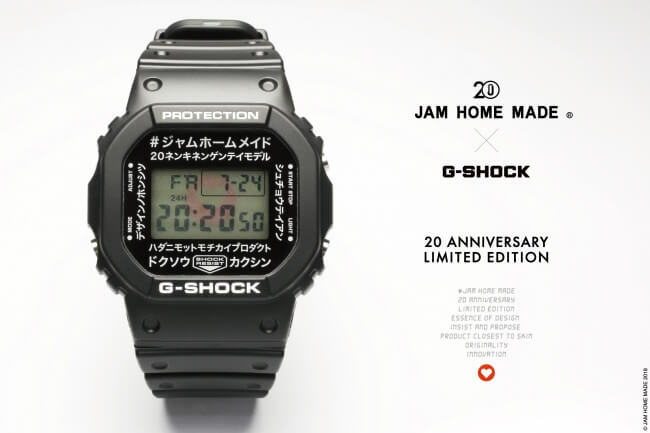 Japanese jewelry and accessory maker Jam Home Made is celebrating its 20th anniversary with the release of a G-Shock collaboration watch. 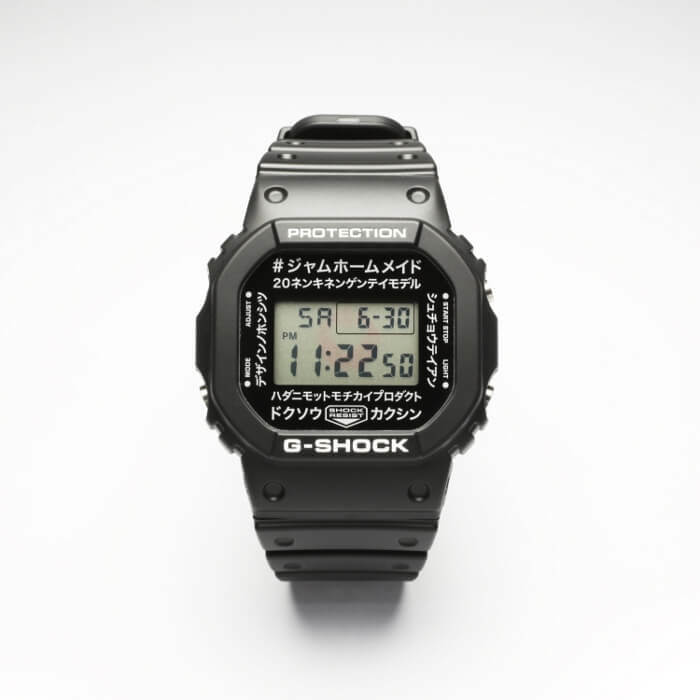 The custom DW-5600 has a black and white design with Japanese writing on the face and a circular heart graphic on the EL backlight. 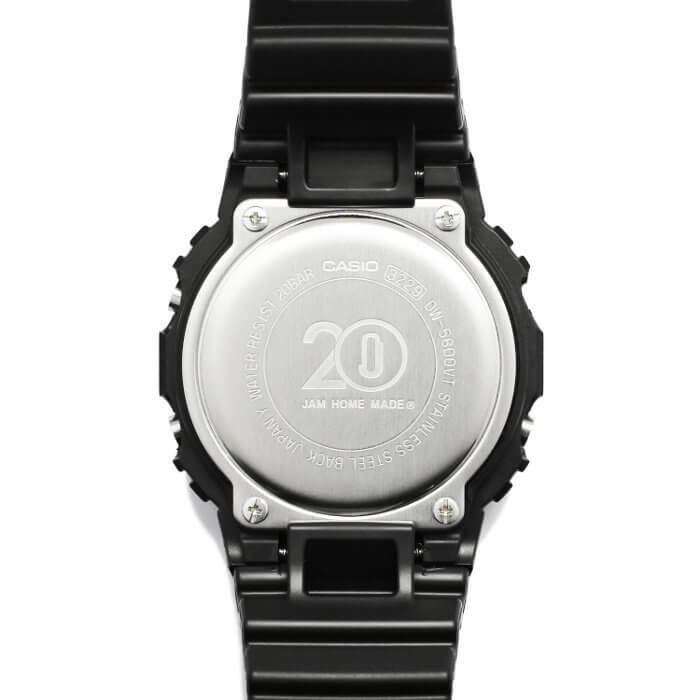 The case back has a commemorative 20th anniversary Jam Home Made logo and the watch comes in exclusive packaging. 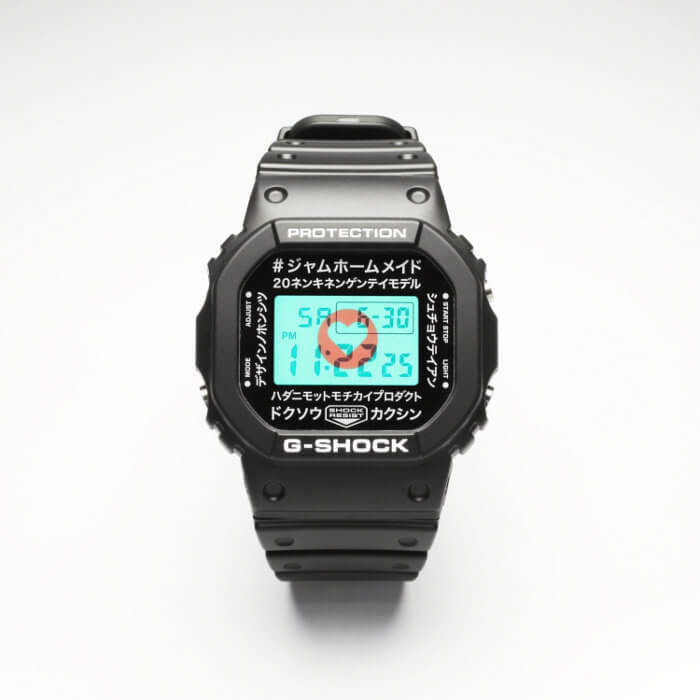 This limited edition watch will be available on Sunday, December 8, 2018, at the Jam Home Made Tokyo shop and online at jamhomemadeonlineshop.com and zozo.jp. 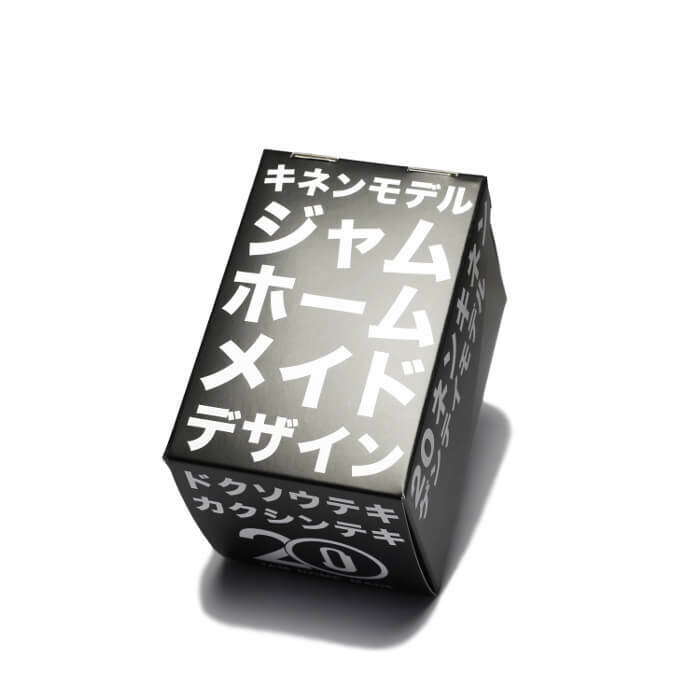 The retail price is ¥16,200 JPY tax included.